Whenever you have unpaved surfaces – secondary roads, access roads, parking lots, driveways, work and storage areas – you have dust. Kicked up by wind or traffic, it settles on the hair, skin and clothing of the people who live and work in your district. For most of them, dust is a nuisance; for those with respiratory or other physical ailments, it could be a health hazard. For motorists and operators of heavy equipment, it could be a hazard as well, because dust reduces visibility. And for you, the road official, dust is all of these things and more: it represents a significant drain on your department’s budget. Those dust particles are your roadways and other unpaved surfaces being carried off piecemeal by the wind. Repairing these surfaces requires expensive road crews and new aggregate; maintaining them involves additional supply, equipment and labor costs. All of which makes effective dust control an excellent fiscal – and public – policy. Perhaps your budget has been cut recently, or you just don’t think you can afford a dust control program right now. Well, the best possible program – one that features LIQUIDOW™ 38% Liquid Calcium Chloride – can actually pay for itself, by reducing the amount of aggregate your unpaved roads lose each year. Hard to believe? Consider these numbers. Users of LIQUIDOW™ 38% Liquid Calcium Chloride report a reduction in lost aggregate of up to 75-80%. To put this in some perspective: if the average untreated, unpaved road loses 300 tons of aggregate per mile per year, the average road treated with liquid calcium chloride will lose only 60 tons. Now, to replace that 60 tons of aggregate, a 15-ton truck would require only four delivery runs – as opposed to the 20 runs required to replace the untreated road’s 300 tons of lost aggregate. This translates into substantial savings, in terms of both lost aggregate and the labor required to replace it. 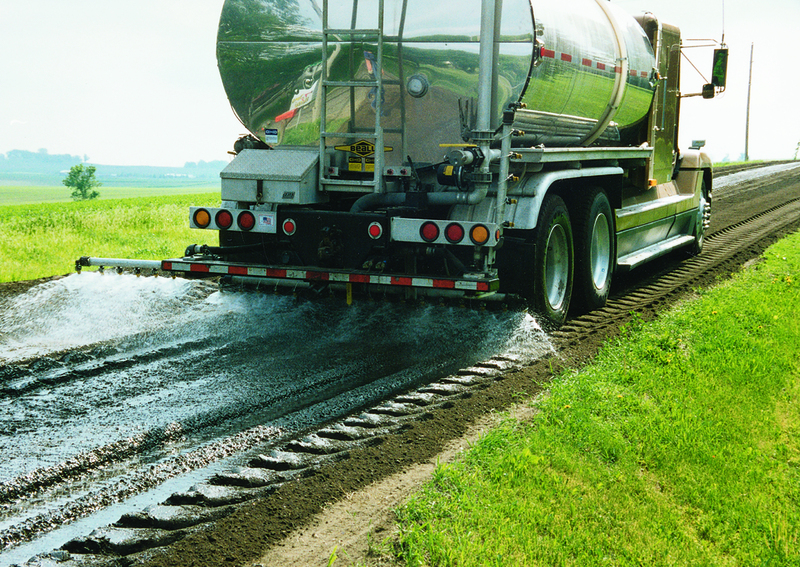 In fact, users of LIQUIDOW™ report a 30-33% reduction in total unpaved road maintenance costs. Controlling dust helps you control costs in other ways as well. For example, buildings located near unpaved surfaces may become less expensive to clean and maintain. Your vehicle maintenance costs can also be reduced. After all, tiny dust particles are quite capable of eluding preventive measures such as filters, plastic covers and cleansers. This leads to damaged bearings, clogged carburetors, fouled plugs and points, and ultimately, premature engine failure. 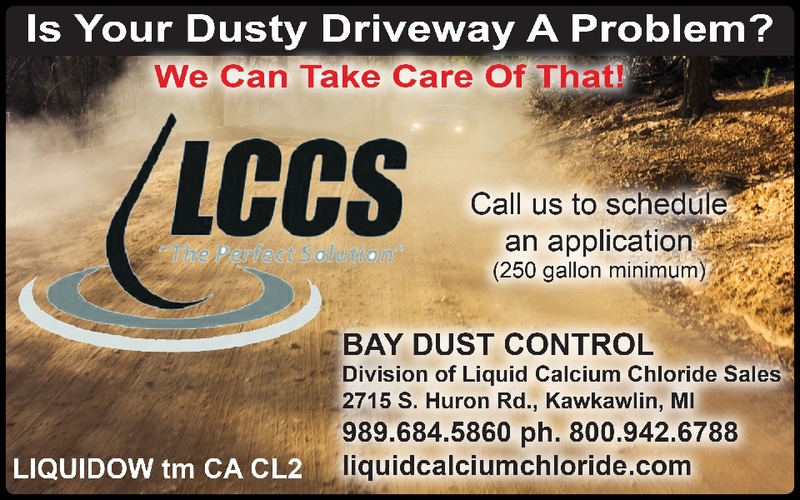 So in an era of tightening budgets, a preventative dust control program featuring LIQUIDOW™ 38% Liquid Calcium Chloride is more, not less, important. It practically always pays for itself. LIQUIDOW™ 38% Liquid Calcium Chloride is produced from natural brine deposits found underground. Calcium chloride’s unique chemical properties are what make LIQUIDOW™ so effective against unpaved surface dust. Calcium chloride is hygroscopic, meaning that it attracts moisture from the atmosphere and its surroundings. This tendency helps to keep unpaved surfaces damp and dust down. What is more, calcium chloride resists evaporation, so a single application works for a long time. Calcium chloride also exhibits a strong moisture film, high surface tension and low vapor pressure. These characteristics and calcium chloride’s “thirst” for moisture help bind aggregate particles together. As a result, the unpaved surfaces become compact. And over time, the chemical penetrates the surface at a depth of several inches, adding a stabilizing effect. This is what accounts for the reduction in lost aggregate discussed earlier and for LIQUIDOW™ 38% Liquid Calcium Chloride’s superiority as a dust control agent. Over the years, many different materials have been tried in the effort to control dust. Yet in test after test, none has proven as effective as calcium chloride, which explains why it is most preferred by road officials. Aside from the fact that they usually cost more than calcium chloride – up to 6 times as much, according to a Harvard University Study – oils and emulsions (mixtures of oil and water) are sloppy. They stick to shoes, clothes and cars; get tracked into buildings; and choke roadside foliage. They also fail to bind aggregate effectively. Instead, they coat an unpaved surface with a thin crust that can fragment and pothole. Furthermore, in one independent laboratory study, the oil based material failed to control dust effectively – even after two applications. This byproduct of paper mills is a gummy substance that coats unpaved surfaces like emulsions do. And like emulsions, it offers few, if any, stabilizing benefits. Other drawbacks include local supply problems, a foul odor and a tendency to become slippery when wet. In addition, a field test performed in 1983 by the U.S. Bureau of Mines showed lignin sulfonate to be nearly one and a half times more expensive than liquid calcium chloride to achieve a 50% level of effectiveness. These soap-like substances have generally proven ineffective because they evaporate too quickly. In fact, they failed the Bureau of Mines tests altogether. Water evaporates too quickly to make it even worthy of consideration as a dust control agent, a fact which is backed by virtually every study ever conducted on dust suppressants. Calcium chloride and magnesium chloride may cost about the same to buy, but not to use. Historically, suppliers have recommended that up to twice as much magnesium chloride should be applied, (0.5 gallons per square yard of 26-32% magnesium chloride versus 0.27 gallons per square yard of 38% calcium chloride). Also, because magnesium chloride is produced by solar evaporation, its concentrations can vary widely and, therefore, so can its performance. LIQUIDOW™ Calcium Chloride, on the other hand, is processed under strict quality control conditions. This assures that what you order is precisely what you get. The dust control “remedies” discussed above are really not remedies at all. Some barely work. Others mask the dust problem while creating problems of their own. And some are simply too expensive and unreliable. nothing controls dust more effectively – or more cost-effectively – than LIQUIDOW™ 38% Liquid Calcium Chloride.